Since we have officially farewelled 2012 and are firmly entrenched in the new year I've been reflecting on the last twelve months. And while I certainly didn't keep up the cracking pace of 2011 in terms of quilt making I'm still happy with my finishes for 2012. 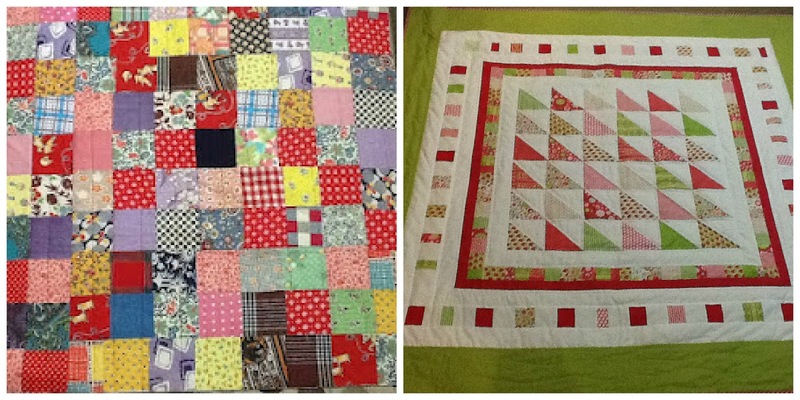 My favourite quilt for the year was definitely the Merry Go Round quilt. 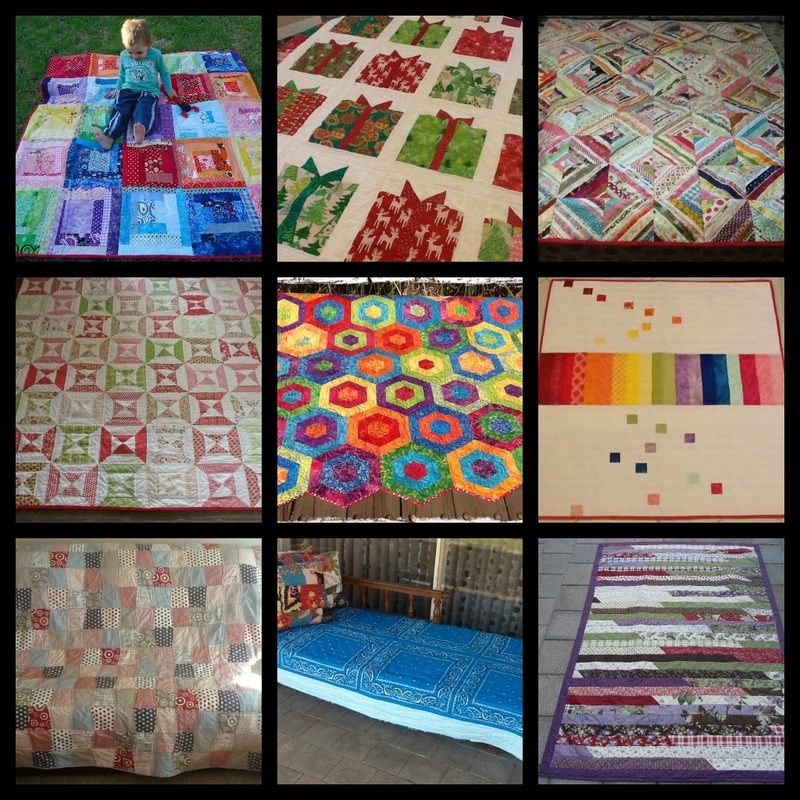 6 of the 11 projects I made got gifted and I went through my cupboards at some point and gave away another three quilts that I hadn't used because there are a finite number of places you can use quilts as decorative throws and I'd reached my limit. Besides, I'd much rather know my quilts were getting some use than sitting in my quilt cupboard. I did a few other projects too. I'm too lazy to put all of them in a mosaic so here are a select few. I think my word for 2012 was either "relax" or "balance" because I seemed to do a lot less of everything last year. Less sewing, less quilt making, less blogging. More relaxing, more chilling out and a bit more sanity than the last couple of years. I liked finding that balance. It was the year that Mordecai used up all of his 9 lives in the great cat kidney failure incident and wound up eating cat food that costs more per kilo than fillet steak. 2013 is going to be the year where he starts eating the cheaper version of kidney friendly cat food which still costs as much as chicken breast fillets. So far he has managed to avoid the stuff in his bowl for 5 days. I have no idea where he's eating but he must be eating somewhere else because the bowl is still full and he doesn't look any thinner. I will emerge from this battle victorious. Yes- I'm pitting my wits against a cat ...and bragging about it. This little nephew and his girlfriend got engaged while on holiday in Bali. And last week they bought a house. This little nephew moved out of home to live with his girlfriend. My little sister did the happy dance because she's about to have her house back for the first time in about 25 years. Miss P made it to 21 and celebrated big time. Mr. P and I celebrated because it's great when your kid makes it to adulthood relatively unscathed. My parents celebrated their 50th wedding anniversary and my Dad only had to go to hospital twice in 2012. For those of you that are new here my Dad spent 2011 attention seeking his way into hospital for every single significant family event including his own 70th birthday, my birthday, my Mum's birthday, and my sisters birthday. Mr. P and I made it overseas, spending two glorious weeks in Hawaii. We lived on burgers and cheese fries. I came home with Oreo envy. Mainland USA it's your turn next year. Anyone who doesn't want a visit from us while we're there should make plans to move now and leave no forwarding address. And I finally got up the guts to put myself out there and wrote a tutorial that was featured on Totally Tutorials. Christmas went off without a hitch. Ok, it was slightly hitchy but we all survived. So as for 2013? I don't do resolutions. I know they don't work for me because I'm still a chain smoking, slightly over weight, non vegetable eating, carb and protein loving mid aged frump. My goal for this year is simply to have as much fun as possible. And finish my WIP's. And to finally nail free motion quilting. So bring it on. P.S. After a four month hiatus I'm bringing back Favourite Things Friday from next week. I hope you'll drop by and play along with me. It's a fabulous way to slide into the weekend. For 2012 being a year to chill, you still knocked it out of the park. 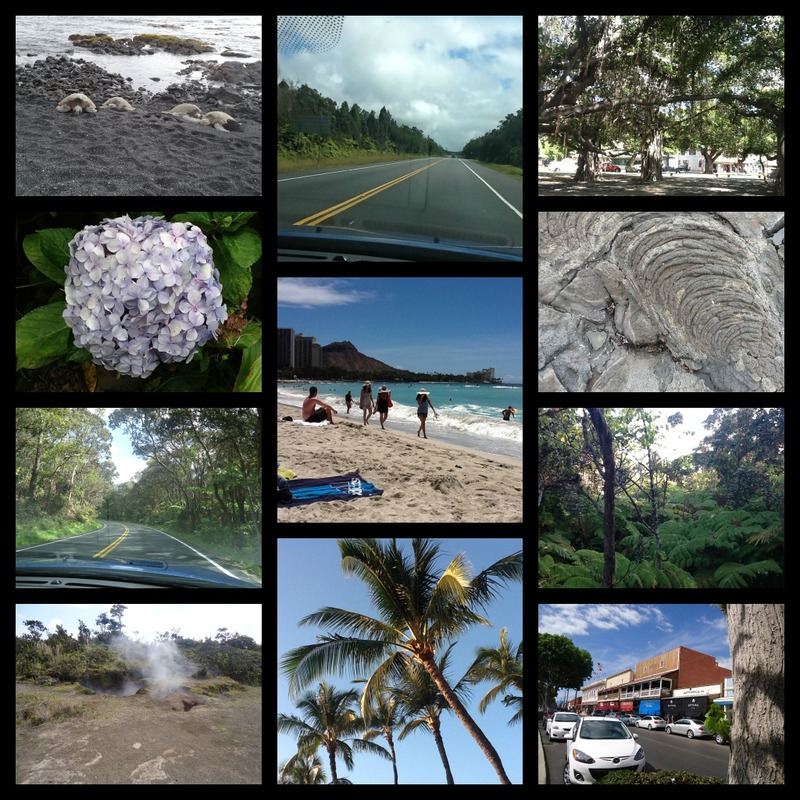 I thoroughly enjoyed clicking on each collage and marveling your many accomplishments. You know how to do up a Christmas gig, too. I don't even know what some of that stuff is, but it all looks amazing. Are you sure you're not related to Martha Stewart? Sometimes it doesn't feel as though you have done much, until you really look at your (and other people's) achievements - you have not had a bad year at all! 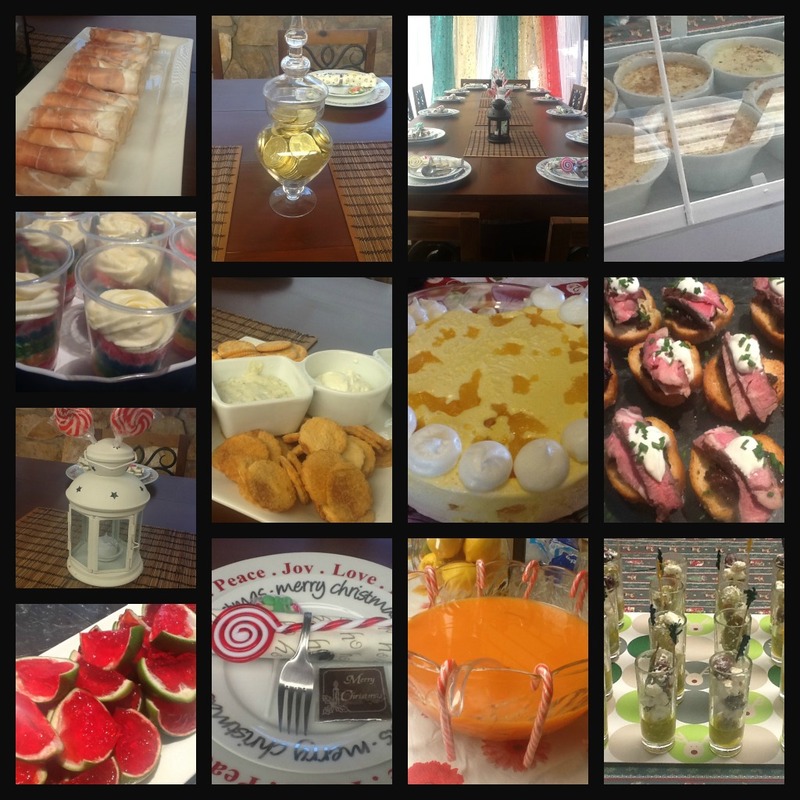 What a fabulous year! May 2013 be even better. wow -- love all the projects! can't wait to see what 2013 brings !!! ps. that is one lucky cat! Shay, you always amaze me at how much you get done. You are seriously a rock star. 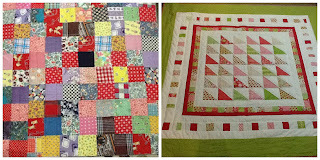 I loved looking back at all of your quilts and hearing the headlines for the past year. Your nephews are good looking blokes. And the niece-to-be is beautiful. I'm not into making big resolution lists either. They never work because they are overwhelming and if you slip up once, you just throw the whole list out. I do, however, like to set goals for things I'd like to get done, which is different. As far as changing behaviors or improving myself, I think that focusing on one thing at a time works better. You can do that any old day of the year. It doesn't have to be the first day of the year, or even a Monday. It can be a Friday in the middle of November. Now's as good a time as any, right? Also, I will be rolling out the red carpet when you come. Let me know and I will plan to get us into all kinds of trouble. Well, as much trouble as you can get into in Utah. P.S. I was thinking about Favourite Things Friday the other day and ticked off a list in my head of all the things I didn't get to blog about as a favorite. Yay! I'm glad it's back. Looks a pretty good year to me Shay. You outdo most of us with all your sewing finishes and then there's all the home improvements too. I'm hoping I can take some inspiration from you and get something done this year!!! This post just reminds me why I think you're so fantastic! I echo another commenter in saying that you are a rock star! This round-up has reiterated that you're talented, hard working, generous, and just plain fun! You already know our address - I sure would love to meet you in person, but I'd better get a lot less boring in between now and then! Happy 2013 - may it be a great one for you and yours! Relflection is a wonderful thing and you still managed so much for a chilled out year. Lovely looking at all your piccies....hope little cat sees the light soon. I don't do resolutions either. There is enough stress out there without looking for more. Make sure you take good care of and be very kind to my lovely friend Shay. She's a great girl you know. Enjoy the year to come, Shay, I hope you hit the "chillax" button to the maximum usage. Lookie at all the cool stuff you accomplished! You achieved a lot for your year even if there was a few hickups along the way. Glad FTF is making a return, I have been thinking of a few FT for a few weeks now. Oh goody! My favorite thing on Friday is reading your blog!! 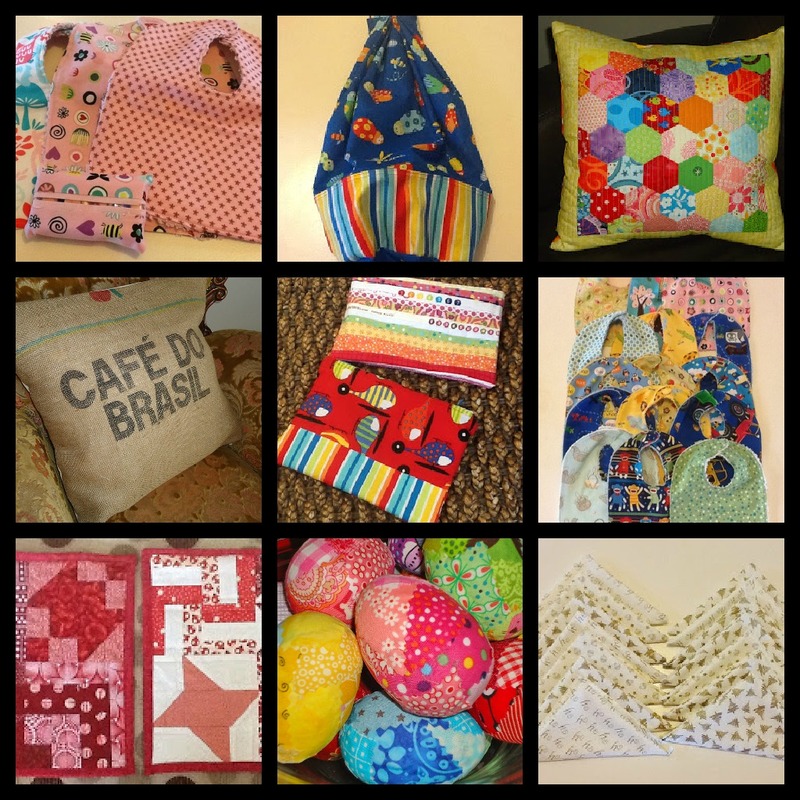 Love all your completed projects for this year, guilty and non-quilty. Looking foward to FTF starting up again. I've really missed all the fun stuff that shows up on your blog that day! Some nifty projects there, awesome work! Good luck winning a food war with a cat - mine lived to be 21 and continually adapted to provide a new challenge every time we sorted out the previous issue. Miss her but I really enjoy being able to sleep in whatever damn position I want to now! If we don't melt here in Adelaide today, 2013 should be a great year! It still seems quite a bit of sewing, snarking, seething, and socializing happened at Chez PJ. Glad you shared most of it with us! Thanks for all the photos (that one nephew has the biggest forearms I've ever seen!) Looking forward to more misadventures, miscuts, miscooks, and lots of grins. You had a great year -- I am always amazed at all you accomplish. I think the rainbow quilt is my favorite; so many projects too! And Mordecai is one lucky cat. He's one handsome cat too. Love the family re-cap. I hope you make it to the West Coast this year .. like Kirsten I'm going to have to become more interesting. Lots of lovely projects on your finished list. Shown like that it looks like balance might have tried to sneak into your life. Enjoy whatever adventures come your way in 2013. I'm impressed with everything. You had a fabulous year! Enjoyed your photos. Good year! I loved checking it all out! I love your Merry-go-round quilt. Laid back Shay still manages to do more than most people in any given week. It's good to look back at your year and look at all those fabulous things you still managed to make/cook/bake and do. I hope your dad doesn't read this and decide to do a repeat performance of 2011 this year. Love it Shay! And I'm just the girl to help you out with all that fun you're going to have in 2013! Awesome 2012 for you my dear - and so pleased to hear mainland USA is in your sights. There are far more cheeseburger/fry joints to choose from. Happy New Year! I would be happy if I achieved half you have. I never make resolutions why set myself up for failure. Fabulous year as far as I can see from your post, Shay. That Merry Go Round was great with the Christmas package one a close second. Love the collages and reading about your life. Thanks for sharing and Happy New Year! Sounds like 2012 was a great year for you. Lots of projects done, family growing up, and a glorious vacation. Well done. What a great summary of a fab year! Here's to an even better year in 2013. Great news about Favourite Thing Fridays. Love your resolution for fun!! And he'll, come up to Canada when you hit the mainland, eh? ?